In my opinion, there’s a definite correlation between wearing workout clothes you feel good in and performing better at the gym. A killer outfit ups your confidence, and who doesn’t want that? The same can be said for accessories like a great pair of sneakers and the bag that you tote everything in. 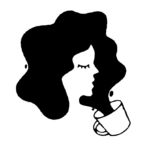 One could argue that a good gym bag is particularly important, since you carry it to and from the gym, and possibly the office if you’re fitting in a post-work sweat session. 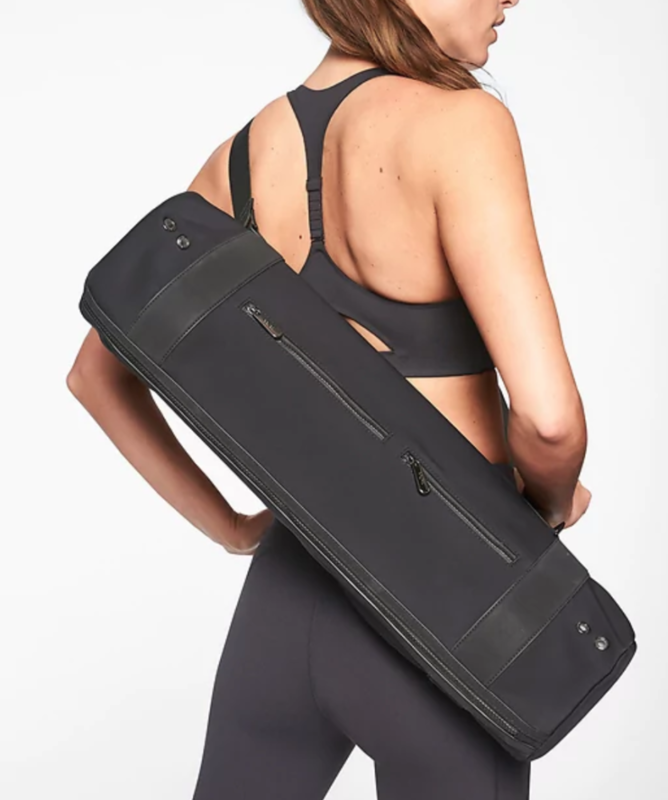 So we were excited to stumble across a stylish new gym bag go-to: Athleta’s collaboration with sport bag and accessory company Caraa. There are a total of four bags in the collection to take you from barre to brunch with ease. At first glance, the Caraa x Athleta Everyday Vinyasa Tote ($118; athleta.com) appears to be your average carryall, but the hidden compartments really make it shine. For one, the bottom zipper opens up to reveal a spot for shoes—genius!—that’s perfect for anyone who hates packing dirty sneakers next to their clothes. Inside, there’s a sleeve for your laptop and two zippers at the top that can fit a rolled-up yoga mat. Available in three neutral colors (black, grey, and bone), this tote will go with any outfit. If you’re on the hunt for a backpack that has it all, look no further. 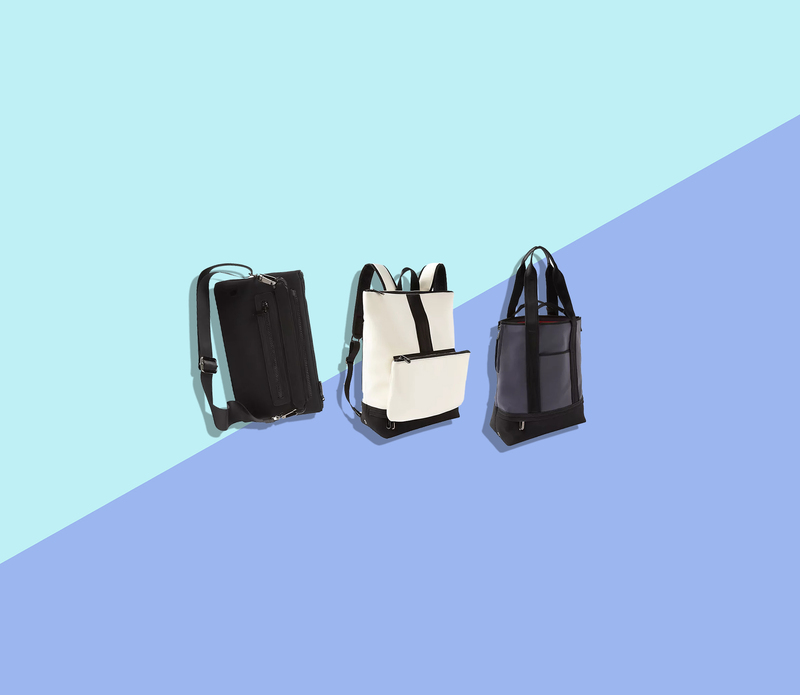 The Caraa x Athleta Convertible Backpack ($138; athleta.com) is super sleek, and features the same space for shoes and even a detachable pouch. The pouch makes hitting the gym bathroom much less cumbersome, and it can also be converted into a clutch or crossbody bag. If you prefer a smaller bag, try the Caraa x Athleta Convertible Pouch ($68; athleta.com), which comes in black, white, and blue in addition to metallic black. There’s a pocket to secure your phone, wallet, and keys while you’re on the move. Strictly a yoga girl? The Caraa x Athleta Yoga Mat Bag ($58; athleta.com) is for you. It has two pockets for your phone, keys, and wallet, plus an antimicrobial main compartment to carry a mat and towel. The crossbody strap makes it comfortable and easy to wear out of the studio post-savasana.